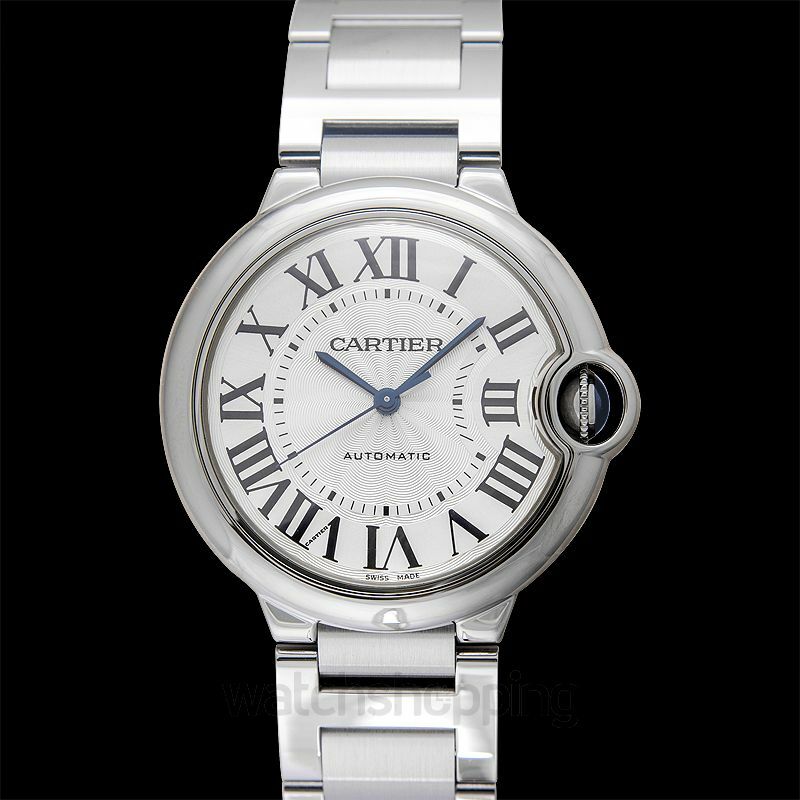 This beautiful timepiece by Cartier is a part of their Ballon Blue line which was introduced back in 2007. 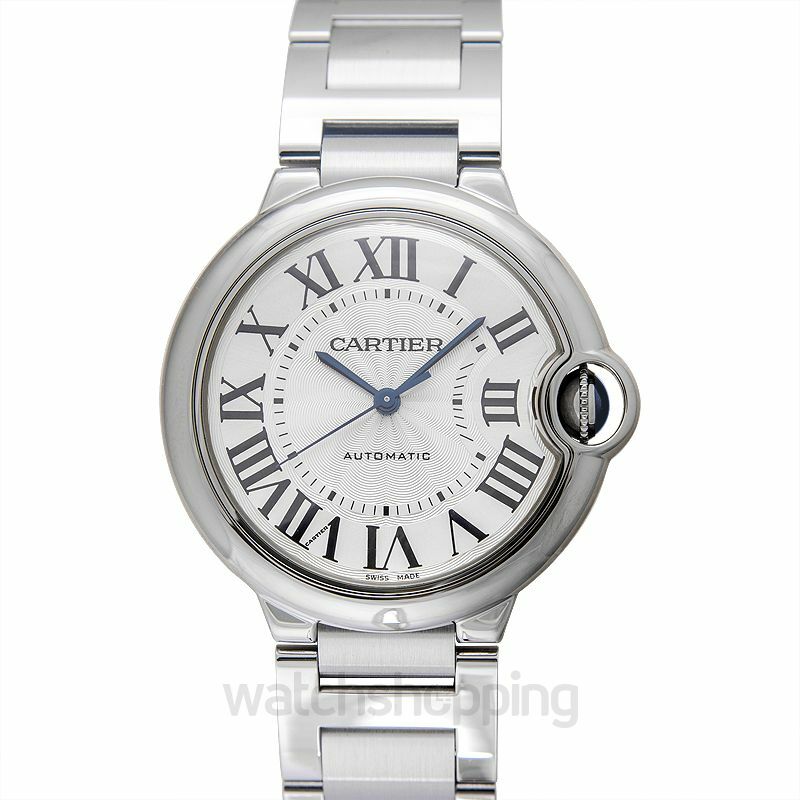 This series features watches with luxurious looks and smooth, pebble-like case. 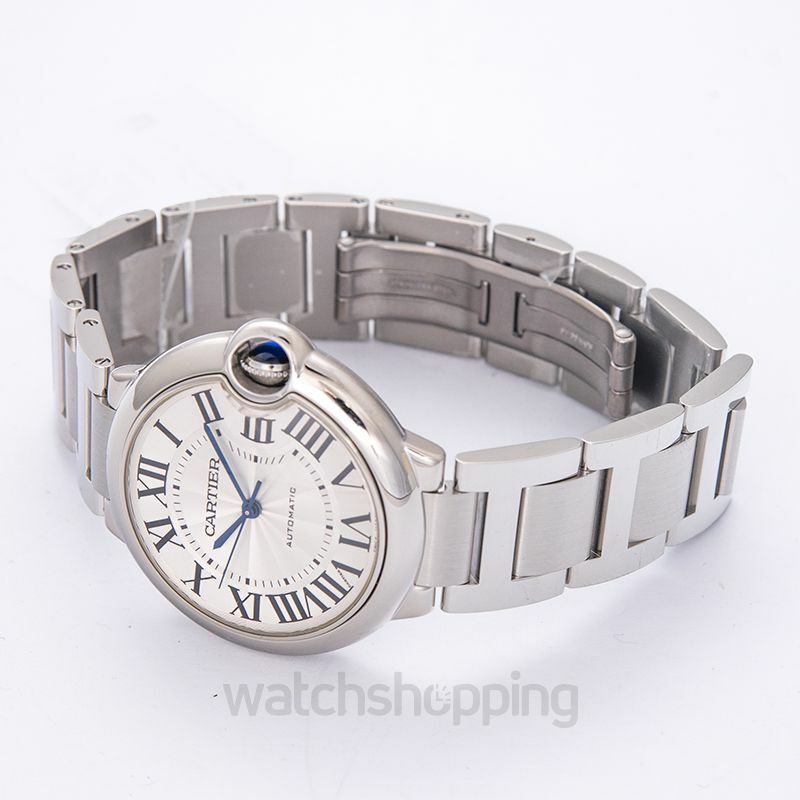 The dial on it is silver with a recessed and protected crown which causes a dent. The index has roman numerals. Furthermore, the case is made of stainless steel with a closed bezel and 36.60 mm diameter presented on a stainless steel bracelet.